The European Commission has produced a paper setting out the preparations that will have to make for a “No Deal “ Brexit, and what would have to done to deal with it. I have extracted some of the interesting quotations from it. It is quite explicit in some respects, but those who say there will be no hard border in Ireland in any circumstances will need to seek further clarification from the Commission. “Member States should refrain from bilateral discussions and agreements with the United Kingdom, which would undermine EU unity”. The Commission paper recognises that Ireland has a particular problem with Brexit. But it does not say that Ireland would be exempt from applying the EU Customs controls on the border between Ireland and Northern Ireland. This omission does not seem to tally with statements being made by some in Ireland. It is unclear what sort of help the Commission will be able to give Irish businesses. In order to assist stakeholders in their preparation for the withdrawal of the United Kingdom, the Commission has published 78 detailed sectoral information notices guiding individual industries on the steps to be taken. It would be useful to scrutinize these papers as to their application to business between Ireland and Northern Ireland. In the area of air transport, the withdrawal of the United Kingdom, without any arrangement in place at the withdrawal date, and without operators concluding the necessary and possible alternative arrangements, will lead to abrupt interruptions of air traffic between the United Kingdom and the European Union, due to the absence of traffic rights and/or the invalidity of the operating licence or of aviation safety certificates. 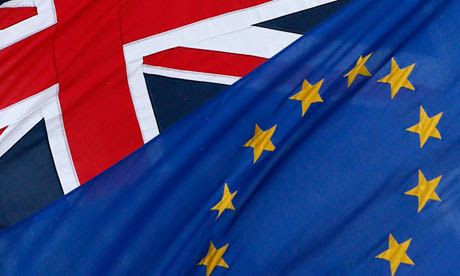 Regarding road transport, in case of no deal scenario, as of the withdrawal date, UK hauliers will have market access rights limited to the permits offered under the European Conference of Ministers of Transport (ECMT) which would allow for considerably less traffic than what currently takes place between the Union and the United Kingdom. This will have serious implications for Irish businesses using UK hauliers to get goods to the continent. In the case of a no deal scenario, as of the withdrawal date, goods entering the European Union from the United Kingdom will be treated as imports and goods leaving the European Union to the United Kingdom will be treated as exports. The Commission says that all relevant EU legislation on imported goods and exported goods will apply, including the levy of certain duties and taxes (such as customs duties, value added tax and excise on importation), in accordance with the commitments of the European Union under the rules of the World Trade Organisation. The need for customs declarations to be presented to customs authorities, and the possibility to control shipments will also apply. The Commission paper does not say that the border in Ireland would be exempt from this. This will need to be clarified. The Commission calls on Member States to take all necessary steps to be in a position to apply the Union Customs Code and the relevant rules regarding indirect taxation on 30 March 2019, in case of a no deal scenario, to all imports from and exports to the United Kingdom. Again there is no explicit, or implicit, exemption for the EU border in Ireland. Customs authorities may issue authorisations for the use of facilitation measures provided for in the Union Customs Code, when economic operators request them, and subject to relevant requirements being met. Ensuring a level-playing field and smooth trade flows will be particularly challenging in the areas with the densest goods traffic with the United Kingdom. The Commission is working with Member States to help find solutions in full respect of the current legal framework. The paper also deals with financial services and with residency rights for UK citizens living in EU countries. “at Border Inspection Posts, which is a matter of Member State responsibility”. Ambiguity about how all this might apply on the Irish border does not help businesses with their contingency planning.